Did you know? The window replacement experts at LYF Construction are also skilled in installing gutter systems. LYF Construction has been in the business of installing gutters since 2003. 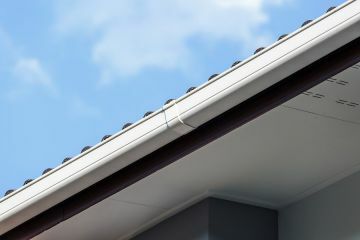 Our gutter systems offer a unique design that looks sleek and unobtrusive and functions optimally for maximum flow. Why Choose LYF Construction for Gutter Installation? When you call LYF Construction for gutter installation, you'll receive qualified gutter specialists who will treat you and your home with courtesy and respect. From the initial phone call for a quote to the final nail hammered, you'll be in great hands. We will be accessible throughout the installation process and ready to address any questions or concerns. All of our products and workmanship is guaranteed.